Days after the crashing of Ethiopian Airlines Boeing 737 MAX-8 killing all on board, more countries have joined the league of leading aviation nations in placing temporary ban on the use of the brand. Tuesday, the UK’s Civil Aviation Authority (CAA) has banned the Boeing 737 MAX from operating in or over UK airspace “as a precautionary measure”. BBC reported Tuesday in a statement that it took the decision because it did not currently have “sufficient information” from the flight data recorder about the fatal crash. Besides, Boeing has began strategic review of all software used in the development of the aircraft as part of drive to correct if ever, any error that might have been causing the default in the brand aircraft. 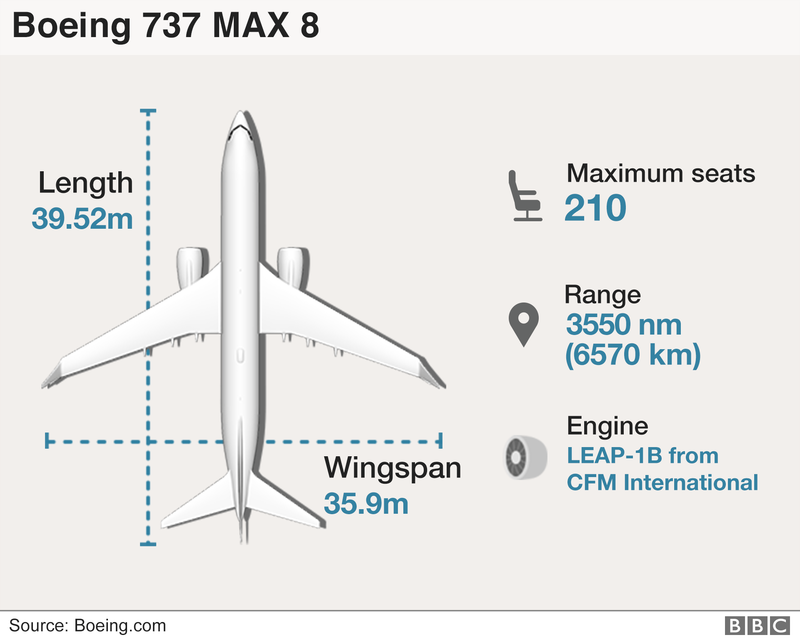 Accordingly, Boeing confirmed that for the past few months it has been developing a “flight control software enhancement” for the aircraft, but says it is confident they are safe to fly.The Sunday crash was the second fatal accident involving the 737 Max 8 model in less than five months. Countries including China, France, Norway and Germany have also grounded the jets. This is coming as the management of Nigeria’ leading carrier, Air peace, has insisted on taking deliveries of 10 Boeing 737 MAX-8 ordered earlier last year as part of fleet build up. Already, some Nigerian regular flyers who spoke to our correspondent were divided on whether they will continue to fly the brand. The crash has collapsed Boeing’s stock as more than $27bn (£21bn) has been wiped off the company’s market value since the close of trading on Friday. A Tui statement confirmed their 737 Max 8 aircraft were grounded, saying “Any customers due to fly home today on a 737 MAX 8 from their holiday will be flown back on another aircraft,” it read.